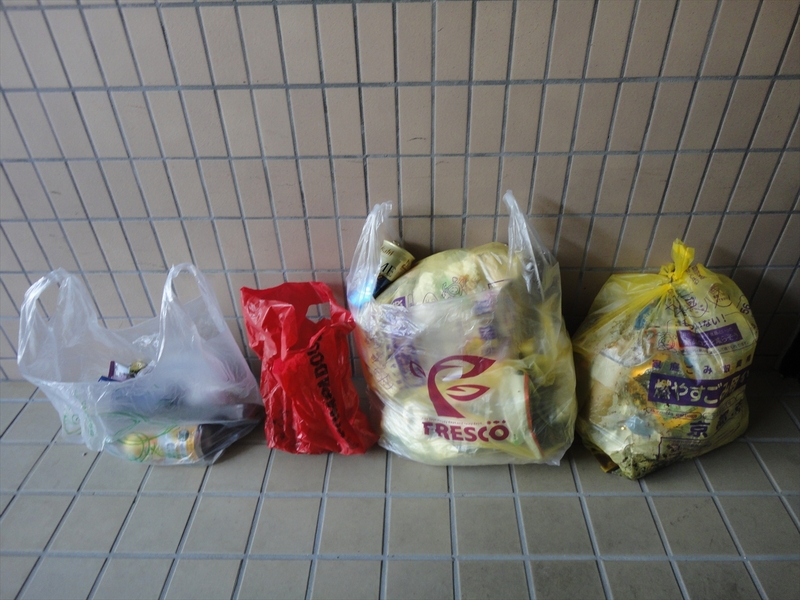 The last collection day in the year-end for the burnable garbage is 28th December (Friday). 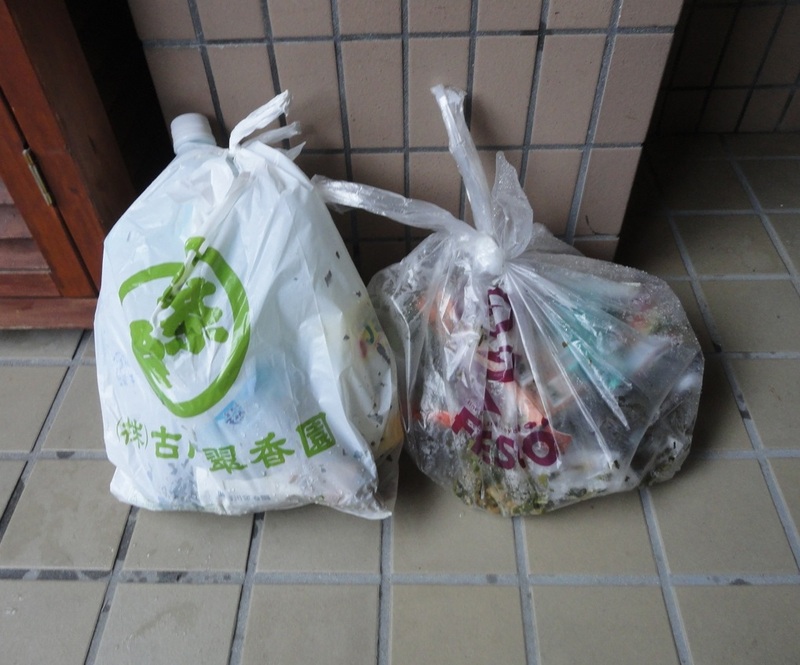 There are no garbage collection in New Year Holiday (from 1st Jan to 3rd Jan). Please keep your garbage in your room in this period. 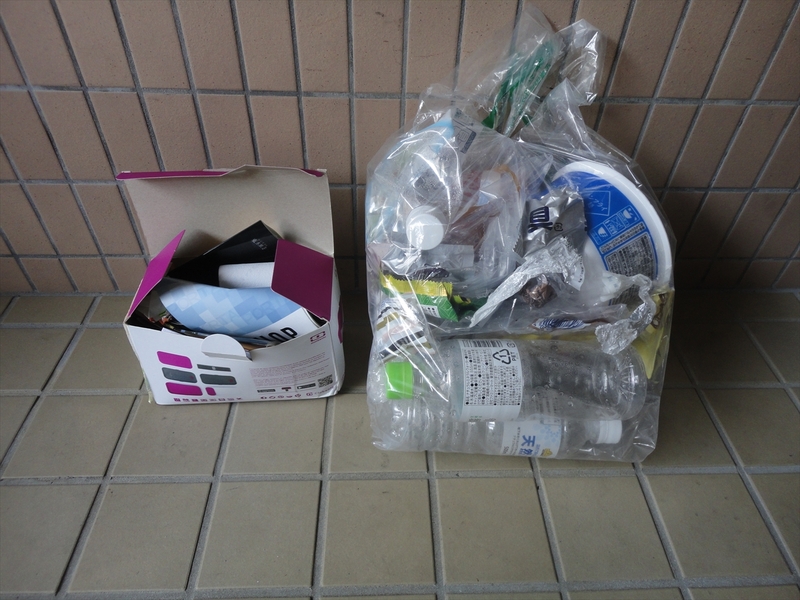 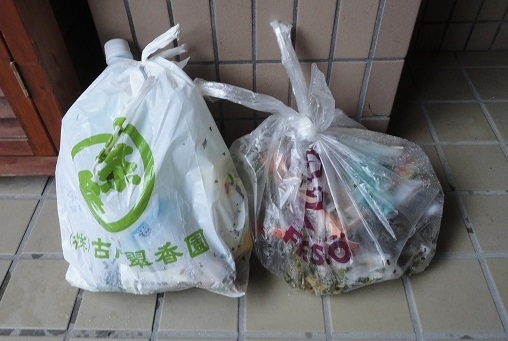 Please put these garbage into the yellow "Burnable garbage" bag which designated by Kyoto city! Unfortunately these garbage were not collected. Because these garbage were not packed into the designated garbage bag. 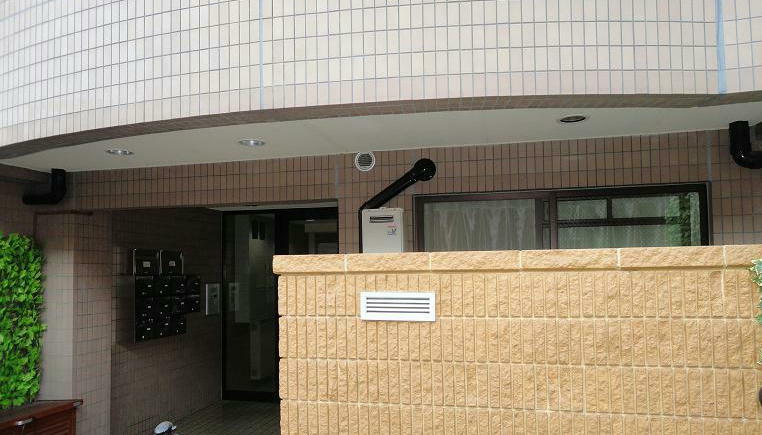 Kyoto city government is very bureaucratic. 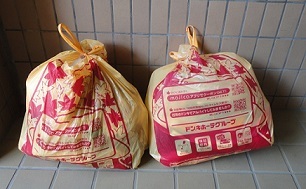 You can buy the designated garbage bag in convenience stores and supermarkets. 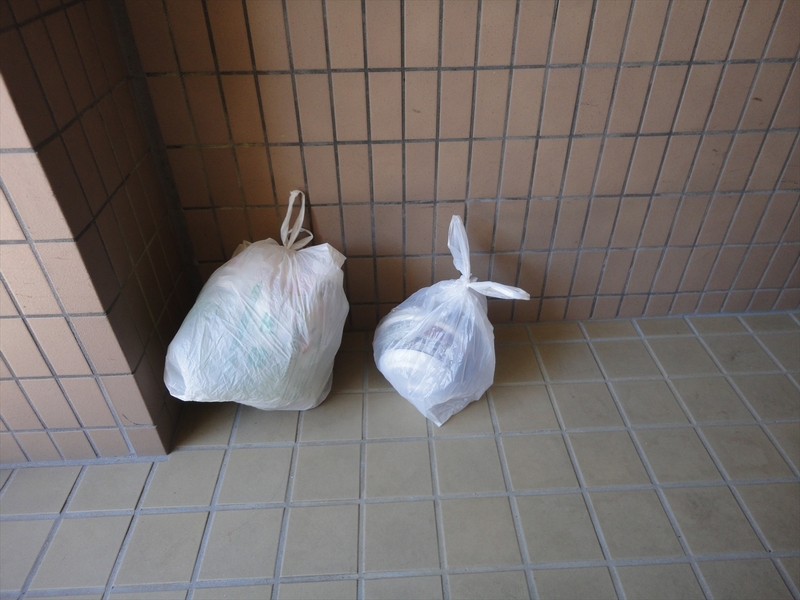 If you can't, please ask to Usasan. 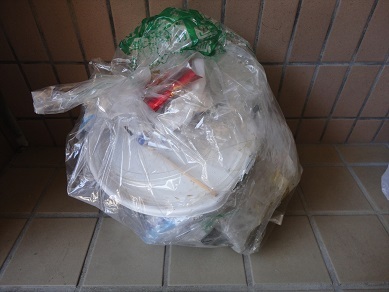 Please use the garbage bag which Kyoto city government appointed properly. 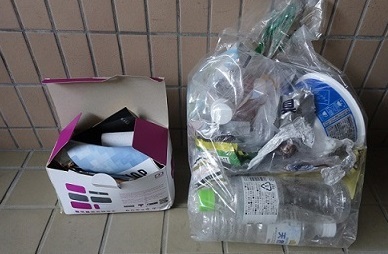 If you want to put your garbage as resource garbage, please do NOT mix "Plastic containers and wrappings" and "Cans, glass bottles, PET bottles(plastic bottles)". 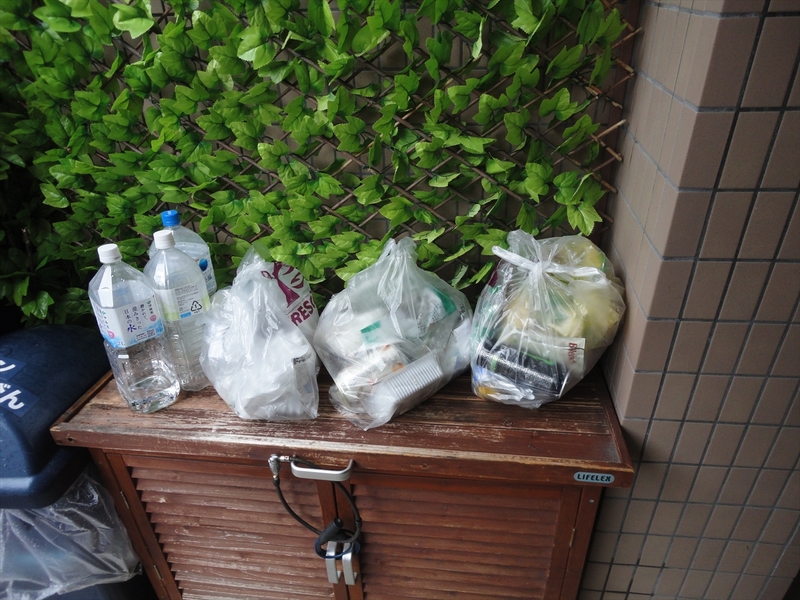 We have to clean up the resource garbage. 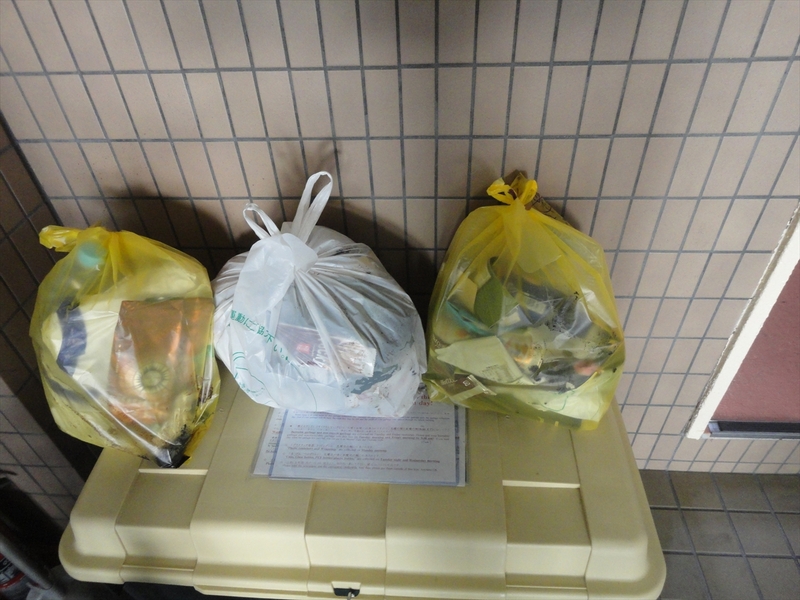 If you can't, please put all garbage into the yellow bag for "Burnable garbage" which designated by Kyoto city. 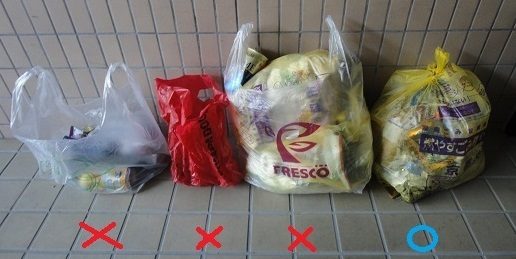 If you can't separate the garbage exactly, please use the yellow bag for the burnable garbage.